We use quality industry-proven tools & vendors at both ST Pâtisserie Chocolat and at The Pastry School, and we're passionate about them. This page is for you to link directly to those companies and services for easy reference. Advanced Gourmet Equipment and Design offers education and consulting along with ice cream and gelato equipment, supplies, product and complete support for those wishing to open a new retail shop, add frozen desserts to an existing shop or simply research the many opportunities within the exciting frozen dessert industry. Founded in 2009, TB fours, develops and manufactures baking ovens under two french brands : Batinox & Tibiletti. Our brands are historically linked to the french bakery & pastry heritage as we emphasize our strong commitment to quality on a daily basis. For over 18 years, Equipment & Concepts has specialized in selling the top gelato and ice cream makers and machines, gelato display cases and machines for chocolate tempering. We also specialize in batch freezers and machines to make espresso, frozen yogurt, frozen custard, sorbets and pastries. We also offer used equipment & demo models from brands such as Bravo, Carpigiani, Taylor Freezers, Emery Thompson, OTL and others. Please check with us as our inventory changes monthly. Bakon has been supporting wholesale and retail bakeries with high-quality equipment, superior customer service, and environmentally friendly solutions since our founding in 1991. Although we make our high quality, platinum-cured molds by hand here in Chicago, The Chicago School of Mold Making works with clients all over the world for their food and non-food shaping needs. How can we give shape to your ideas? The Koerner Company was founded in 1907 by John E. Koerner, whose aim was to provide his customers with world-class products and service. This remains our guiding principle today. Valrhona has been producing the world's finest chocolate in the small village of Tain L'Hermitage, France since 1922. From the beginning, company founder dedicated to the creation of unique artisan quality chocolate with complex, balanced and consistent flavors. For almost a century, Valrhona has created a range of unique and recognizable aromatic profiles by perfecting techniques for enhancing the flavor of rare cocoa beans, grown on land masterfully selected for its terroir. Today, leading Pastry Chefs and discerning gourmets rely on Valrhona's expertise to experience the best that chocolate can be. 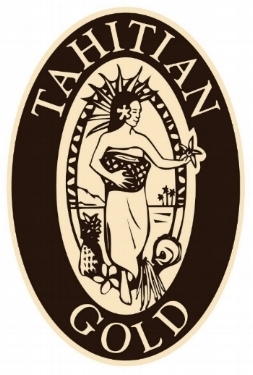 Tahitian Gold Company is a manufacturer of gourmet vanilla products specializing in authentic Tahitian Vanilla, the world's rarest and most coveted variety. Silikomart offers a wide range of stylized and innovative products. Functional, practical and aesthetically pleasing, these products are sure to satisfy the requirements of all those that love to cook. 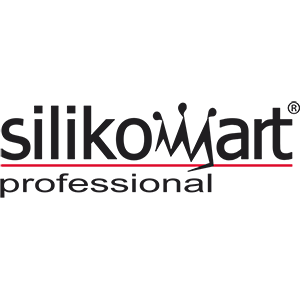 Silikomart products differentiate themselves in the market by their stylized design and their reputation for the highest quality silicone, all with the MADE IN ITALY seal of approval. The usage of silicone affords excellent results and notable advantages. Thanks to its resistance, stability and thermic flexibility, all products can be used in temperature ranges between -60C and 230C. Moreover, silicone is an elastic and non-stick material which does not age over time.